Birding, also known as birdwatching, is an increasingly popular activity, and the Credit River watershed is home to many species throughout the year. Our conservation areas provide excellent settings for seeing and listening to birds. Birding is an activity easily combined with hiking, cycling, picnicking, and more. To find a park near you visit cvcparks.ca. Want to learn more about birds found in the watershed? 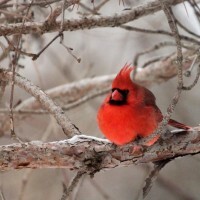 Check out our Birds of the Credit information. Are you interested in attracting birds to your home? We have information to help you! Plan your garden and attract birds to your backyard with our bird gardens information.